Led by a 30-man mariachi orchestra and colorful traditional dancers, 7,000 Scientologists and guests hailed the grand opening of the new National Scientology Ideal Organization for Mexico in the heart of Mexico City. Mr. David Miscavige, Chairman of the Board of Religious Technology Center and ecclesiastical leader of the Scientology religion, officiated the historic occasion. The ceremony marked the conclusion of a full-scale reconstruction and design of Mexico City’s Juarez Building. Directly adjacent to Mexico’s Fine Arts Palace and neighboring the National Supreme Court, the National Bank and the National Palace, it stands as a six-story contemporary cultural landmark. Fully configured to be a physical embodiment of the religion, the building includes an extensive Public Information Center with 17 multimedia displays that presents and illustrates Scientology beliefs, the life of its Founder, L. Ron Hubbard, and the full array of its many social betterment and community outreach programs. In full, these displays provide a concise but panoramic view of the religion to visitors, students and others desiring to learn more about Scientology. Also commemorating the occasion and expressing its significance to their country were leaders from diverse fields in the Mexican nation. 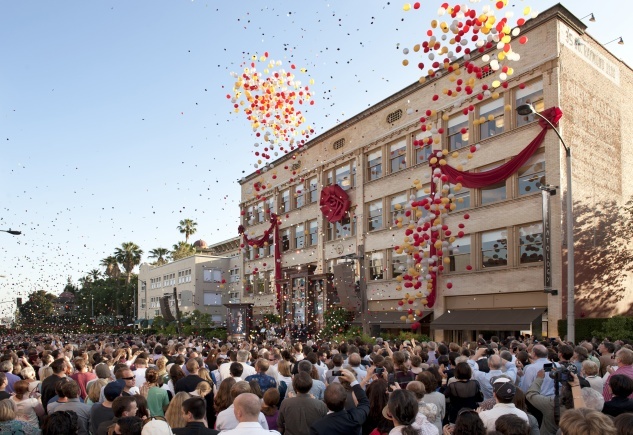 In closing the dedication ceremonies, Mr. Miscavige said: “Today we cut a ribbon. And in doing so, I wish to extend my gratitude to all of you who made this moment possible, you who gave so much of yourselves to build this magnificent Ideal Organization, you who we shall not forget—not now, not ever. 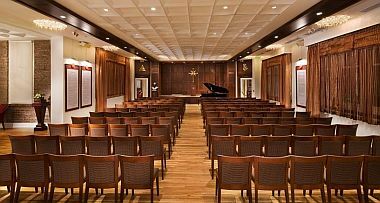 Architecturally, the building features a five-story atrium, a Chapel seating hundreds, a library containing all Church Scripture, as well as a multitude of seminar rooms, film rooms and volunteer workspaces for its many social and community programs and projects—in addition to course and counseling rooms to provide Scientology training and auditing for parishioners. Scientology missionary activities began in Mexico in the mid 1960s and the first official Scientology Association was formed in 1977. 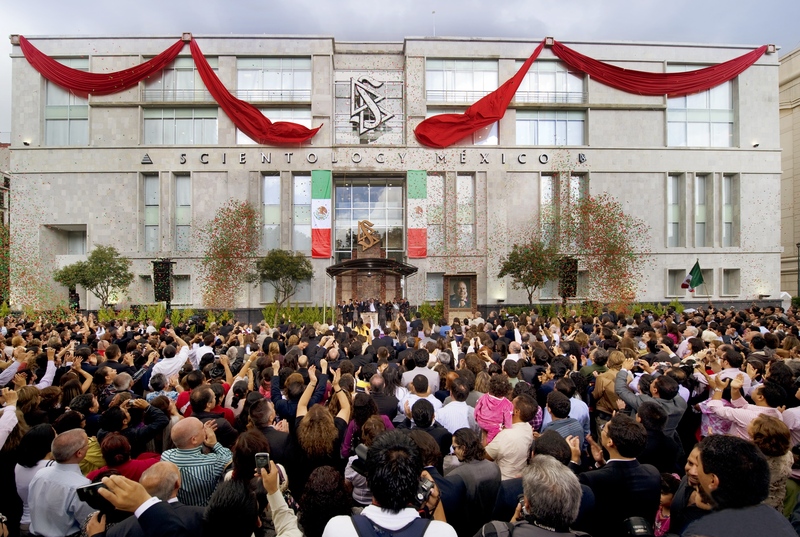 Mexico City is home to the largest community of Scientologists in Latin America. Today, its growing membership supports social betterment programs that include the largest non-governmental drug education and human rights education programs in Latin America. To make the Scientology religion more accessible, in the past two years the Church has provided the full library of its Founder’s books to public libraries and universities throughout the country. Scientology Mexico is the fifth new Ideal Organization of Scientology to open in 2010. 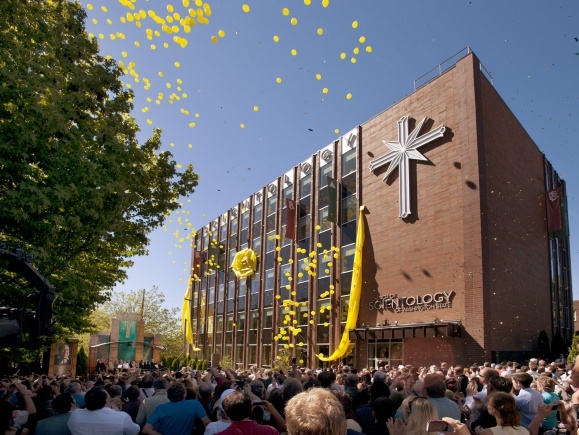 On January 23 this year, the Brussels branch of Churches of Scientology for Europe was opened in Belgium; the Church of Scientology of Quebec was dedicated January 30; the Church of Scientology & Celebrity Centre of Las Vegas opened February 6; and the new Church of Scientology of Los Angeles opened April 24. In the past three years, new Churches of Scientology have opened in world cultural centers, including: the Founding Church of Scientology in Washington D.C.; the Church of Scientology of Rome, Italy; the Church of Scientology of Malmö, Sweden; the National Church of Scientology of Spain, in Madrid’s Neighborhood of Letters; the Church of Scientology of New York, just off Times Square; the Church of Scientology of San Francisco, in the original historic Transamerica Building; the Church of Scientology of London, at the city’s epicenter; the Church of Scientology of Berlin, near the Brandenburg Gate; the Church of Scientology Las Vegas, Nevada; the Church of Scientology Nashville, Tennessee; and the Church of Scientology of Dallas, Texas. Another seven new Churches of Scientology are scheduled for completion before the end of 2010. Worldwide, there are more than 8,500 Scientology Organizations, Missions and affiliated groups in 165 countries. Nashville, Tenn.—May 19, 2010—Gresham, Smith and Partners, a leading multi-disciplinary design and consulting firm to the built environment, is pleased to announce it was recognized with two awards in the 35th Annual Metropolitan Historic Commission Preservation Awards. Design renovations and conversion of Nashville’s American Trust Building into Hotel Indigo were awarded in the Commercial Buildings category. Renovation of the Fall School Building on behalf of the Church of Scientology was honored in the Religious Buildings category. The awards ceremony was held on May 11 to coincide with National Preservation Month being celebrated this month. 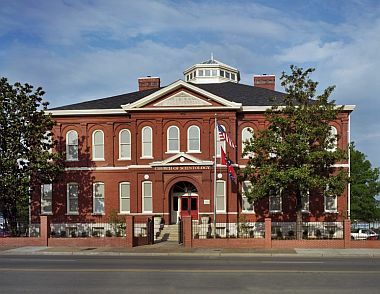 The Fall School Building, originally built in 1898, is the Church of Scientology’s new home in Nashville. The only nineteenth century school building remaining from the pre-Metro Government school system, the building is an attractive example of post-Victorian architecture. The Church purchased the building in 2008 and through renovation efforts many of its original features were preserved, including the hardwood floors, doors and stairwells and eight solid wood pillars capped with iron that support a central three-story atrium. This renovation enables the building to appear much as it did in 1898, be made available for contemporary use while preserving a great piece of Nashville history. For more information on Gresham, Smith and Partners visit their website at www.gspnet.com. For more information on newly opened Scientology churches visit www.scientology.org/churches/churches-of-scientology.html.